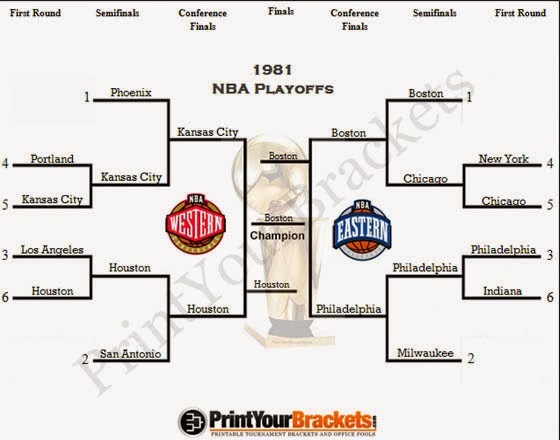 Throughout the entire history of the NBA Playoffs, there has been exactly one constant to the format. Since the inaugural 1946-47 season, when a group of arena operators got together to establish the Basketball Association of America, the championship-determining playoff system has been routinely expanded and otherwise fine-tuned, most recently just this past year. One season (1954) divisional round-robins opened the proceedings. During the league’s first two seasons, the best regular-season team from the East squared off with the best regular-season team from the West – in an opening-round series. In 21 of the league’s 68 playoff tournaments, such regular-season dominance has been rewarded with a first-round BYE – though not since the 1983 post-season. In its infancy, taking a page from baseball’s playbook, the league’s power-brokers chose to utilize a single-game tie-breaker to settle deadlocks in the final standings … normally generating a hefty box-office in the process. It must have been interesting in 1957 when all three Western Division playoff qualifiers posted identical if unimpressive 34-38 records. And then there was Season No. 4, when the NBA as such was merged into existence. The number of teams swelled to 17, spread over three geographical divisions, each of which produced a Champion (i.e. Finalist). With the introduction of divisional play and increase in the playoff field, issues over tie-breaking and seeding seemed inevitable. Tie-breaker games had last been used in 1957. (Oddly, the “Least of the East” Knicks that year, at .500, finished two games better than the three deadlocked western wonders.) The Pistons and Royals, who were tied for second place the following season, proceeded directly to their inevitable first-round match-up. By the time the Bulls and Suns finished the 1969-70 season deadlocked with the third-best slate in the Western Division, Phoenix was awarded the higher seed by rule (or perhaps it was simple geography, as the Suns played the Lakers while Chicago drew Atlanta). 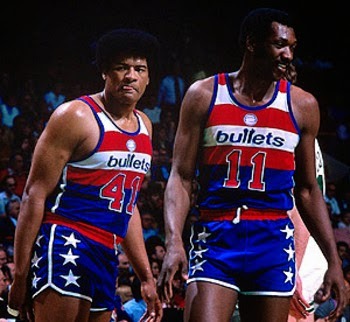 For the 1971 Playoffs, the top two finishers in each of the four newly formed divisions qualified for post-season play, division champs awarded home-court advantage. A simple enough formula, it seemed, but there were inequities from the start. Two division winners enjoyed that home-court edge despite an inferior record than their opponent. Even more egregious was the exclusion from the playoff festivities of the Phoenix Suns, whose record was a full seven games better than Pacific Division runner-up San Francisco but placed them only third in the Midwest. The former problem was addressed promptly – since 1973, home-court advantage in an NBA Playoff series is earned by the team with the better overall regular-season performance. The Suns’ conundrum was far from unprecedented in the annals of the NBA – the afore-mentioned ‘50’s Knicks have not been the only other victims of the league’s at times puzzling sense of geography. Nevertheless, for two seasons, the playoff field was expanded to include the better of the third place finishers in each conference, after which the “merger” prompted the addition of two more teams. While the issue of home-court edge had been settled, the decision-makers continued to experiment with matter of what priority (if any) in playoff seeding was to be granted to a division titlist. In 1976, the Midwest Division champion Milwaukee Bucks, owners of the fifth-best record in the Western Conference, played and lost an opening-round mini-series. That same year the LA Lakers, sporting a record good enough to have won the Midwest, did not qualify for the post-season. 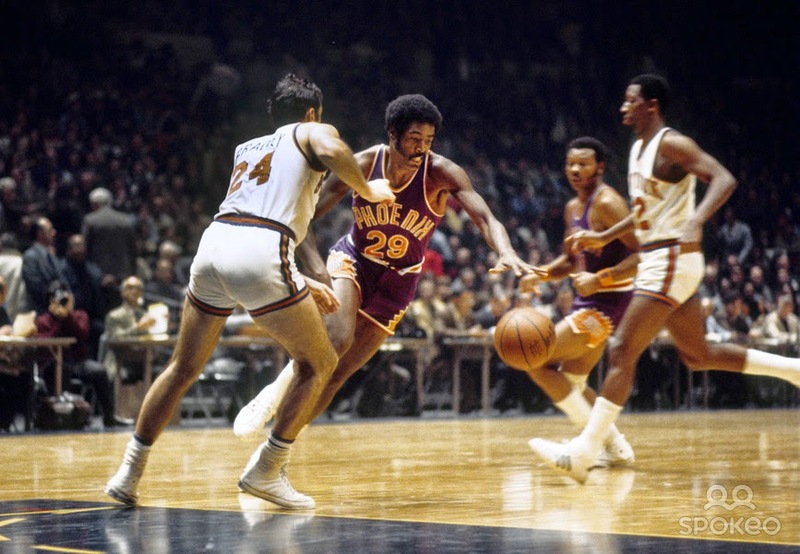 Whether prompted by the ’76 “screwing” of the Lakers (Detroit also had made those playoffs with an inferior record) or the arrival of four pretty good ABA squads, a monkey-wrench was again taken to the playoff format. Division winners along with the four best (irrespective of Division) teams in each Conference would qualify, division championships rewarded with a first-round Bye. Look at those Byes for the top 2 seeds! In essence, a division titlist would receive no lower than a No. 2 seed in the pairings. If form holds, any “undeserving” second seed would encounter a No. 3 with a better record in the Conference Semi’s. The “perk” of favorable seeding was continued even as the playoff field expanded by four in 1984.With byes eliminated, the reward became an easier first-round opponent, though the subsequent path to a title remained unchanged. Likewise unchanged, for over a quarter century, as eight new franchises were joining the Association, was this practice of priority (No. 2) seeding for division champions. The policy was suspended for the labor-shortened, 50-game 1998-99 season, when playoff seeding was established strictly by wins and losses. And while Mr. Stern’s league has been the subject of some conspiracy theories through the years – rigged draft lotteries, Tim Donaghy, “tanking,” Kings v. Lakers – little if any sand was kicked up over the playoff format. In point of fact, there was little motivation for chicanery, the distinction between a second and third seed virtually non-existent when seeding does not determine locale. 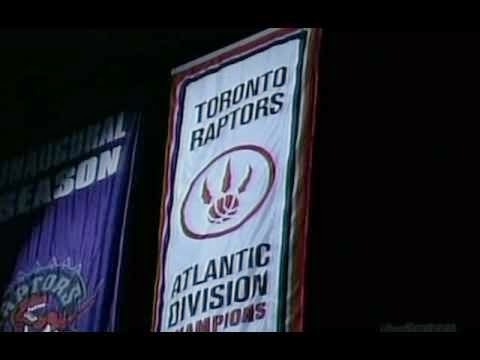 But the mid-2000’s brought some change to the NBA landscape. Opening-round series were lengthened to best-of-seven in 2003. Two seasons later, each conference was re-designed into three geographic divisions. Thus, there were more seasonal “champeens” deserving of preferential seeding. But doesn’t a glut of honors tend to minimize the worth of such recognition – and the extent to which it should be rewarded? Well, trouble came a-callin’ with the close of the 2005-06 season. The Denver Nuggets, by dint of their Northwest Division championship, were seeded third in the West – and they had the exact same record as eighth-seeded Sacramento. (The Kings lasted one game longer.) Curiously that year in the East, an “unfair” No. 4 seeding created a second-round pairing of top-seeded Detroit and divisional foe Cleveland, with the Pistons prevailing in seven games. Courtesy of the rule adjustment prompted by the Denver disaster, the encore/LeBron James six-game coming-out party the following season was able to be staged in the Conference Final. That most recent seeding tweak attempted to balance increased (if not total) equity with the need to maintain some value for a divisional banner. The compromise assures all division champs a top-four spot. That aside, all playoff seeding is pulled straight from the Official Standings. 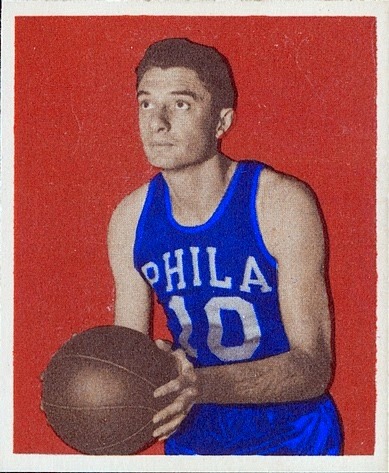 The American sports fan welcomed professional playoff basketball on Wednesday, April 2, 1947 in the City of Brotherly Love, in our Nation’s Capital and – I kid you not – in Cleveland, whose Rebels repelled the Knicks rather easily before ending their season with consecutive losses in New York. Philadelphia’s Warriors eked out a five-point win and four days later took a rubber match from an outfit called the Bombers in St. Louis. The Washington Capitols, under the leadership of a young chap named Auerbach, proceeded to squander home-court advantage to the Chicago Stags in pro hoops’ first ever best-of-seven series. Have I got you confused yet? You see, the division champs (who additionally happened to have the two best records in the league) played best-of-seven for a spot in the Finals. The second- and third-place finishers were also paired, but played best-of-three; these winners then went best-of-three for the chance to play for the title. The same system was in place for the following season, while an eight-team format designed to crown Division Champions was introduced in Season Three. Though arena availability could impact dates and locales, the ultimate game of a playoff series was preferred at the arena of the team with the better regular-season record. Let the record show that the league’s first ever Game 7 was won by the road team on Tuesday, April 6, 1948. The defending champion Warriors, who would go on to lose a six-game Final to the Baltimore Bullets, again took the measure of the Bombers (quite convincingly, 85-46). It would be three more years before fans were treated to another seventh game, a mere five in all during the league’s first decade, all but the first providing a happy ending to a Finals game for the home fans. “Game Seven” remain the two sweetest words to a sports fan’s ear, and every NBA championship series has provided the possibility, 18 times fulfilling the promise. Fans have seen 25 six-game Finals, another 17 have ended in five games, while eight have resulted in four-game sweeps. While a best-of-seven championship series was set in stone at the league’s inception and all were scheduled to both begin and end on the home court of the superior regular-season team, the arrangement of the intervening games has seen some variety. This year’s Spurs-Heat re-match was the 32nd to utilize the 2-2-1-1-1 format, but the first since 1984. The previous 29 titles had been contested in a 2-3-2 set-up. So, currently the two formats stand dead even in usage at 32 apiece. But wait a minute, Mr. Writer-named-after-a-simple-counting-machine, 32 + 32 = 64 – and the league is 68 years old?? There have indeed been two other set-ups, each used twice. When the initial 2-3-2 experiment was abandoned, they tried a strictly home-and-home format for 1956 and gave it a second look in 1971. Neither series went past five games. Then there was 1978 when the favored Supersonics hosted Games 1, 4, 5 and 7. 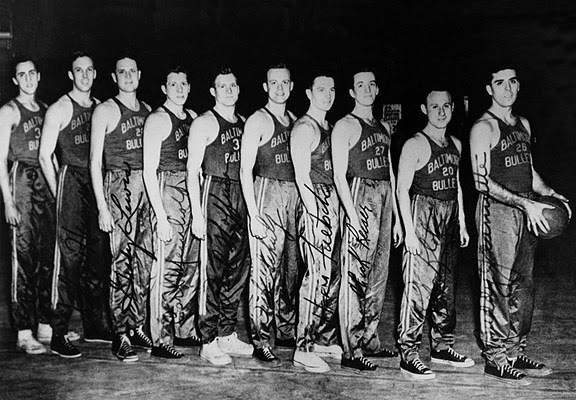 The victorious Bullets are the only NBA team other than the Boston Celtics to win the season’s ultimate game on the road. This awkward 1-2-2-1-1 set-up had been used in 1975, though it was hard to notice what with Rick Barry’s Golden State Warriors winning in a sweep. The league’s most unusual itinerary for any best-of-seven series was probably the very first – how does 2-1-1-2-1 look to you? 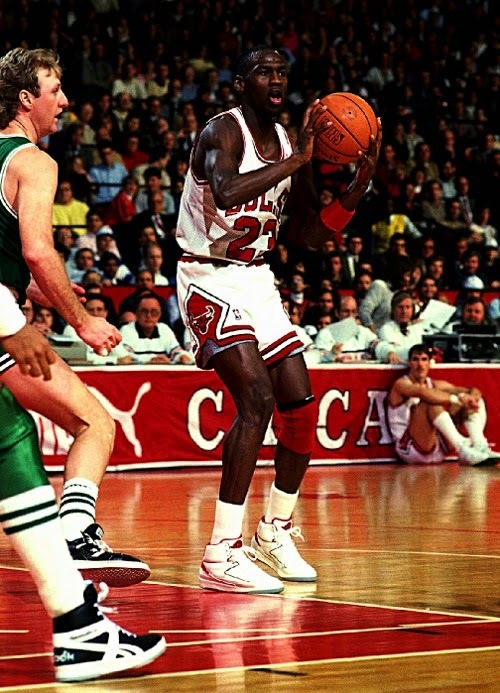 The favorite got to play three of the first four games at home – and Red Auerbach’s Washington Capitols still managed to fall behind 1-3 and lose to the Chicago Stags in six games. Things would get better…for both the rookie coach and the rookie league. If you find the perspective of the Abacus intriguing or merely amusing though simple, this Birthday Wishes to the Offensive Rebound or Thoughts on Keeping Score might be of interest.